Chile pepper plants are a tenacious bunch. They not only imbue the face-watering heat that we love, but are keen on devouring an abundance of the most direct sunlight. Their natural habitat is of course close to the equator. Since I am living in Florida, I thought that it was the perfect opportunity to try to grow some Habaneros, starting from seeds. 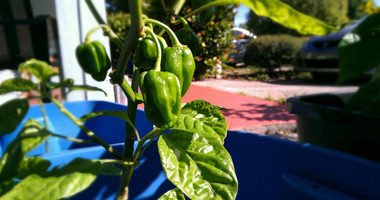 Last June, when the idea for this website was hatched, my friends and I decided to start growing our own hot peppers. Florida was the perfect place to start. The plants long for high temperatures and since there are only a few cold weeks, when they should be planted is not a big concern. I ordered seeds online (from a local supplier) for Jamaican hot chocolate habaneros (black habanero) and orange habaneros. Seeing the chile pepper seeds grow into a monstrous fruit-bearing plant was fun and rewarding. It only took occasional watering, a few transplants, and some pest management. Now I need to do something with all the picked peppers I have sealed away. 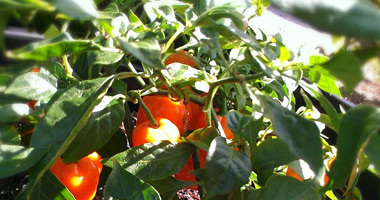 It is surprising to see the quantity of habaneros that the plants continue to produce.